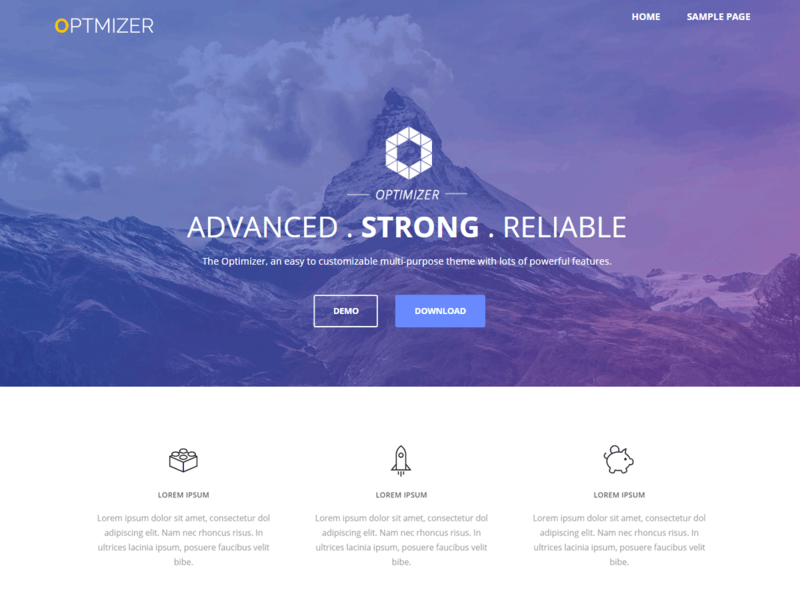 The optimizer (Optimizer), template for WordPress, very easy to set up, it is a multipurpose theme with plenty of powerful features inside. 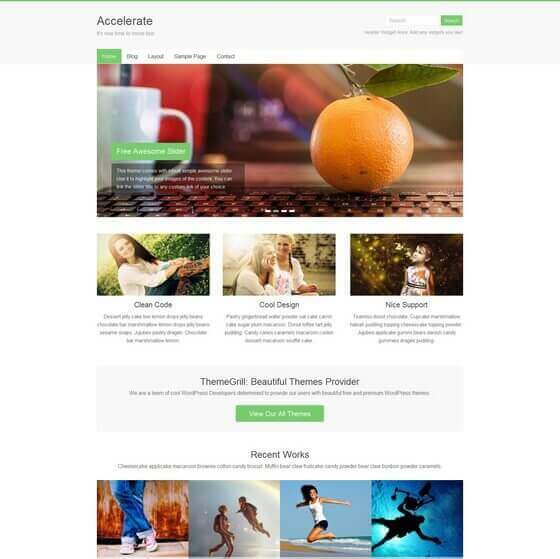 This WordPress theme allows you to customize each element and edit posts without implementing any code. The pattern Optimizer has 2 layouts: full width and boxed. Also present: beautiful image slider, easy download logo, more than 600 fonts, custom CSS, powerful customization and a huge number of colors. 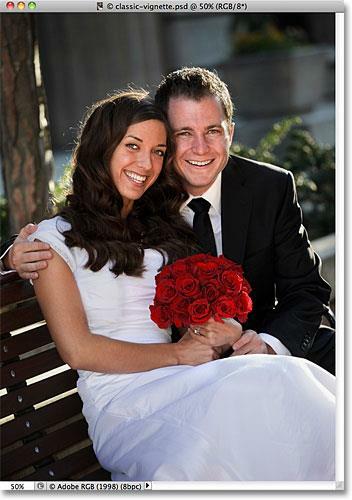 The optimizer is a theme which is fully 100% responsive, built on HTML5, CSS3, friendly SEO. 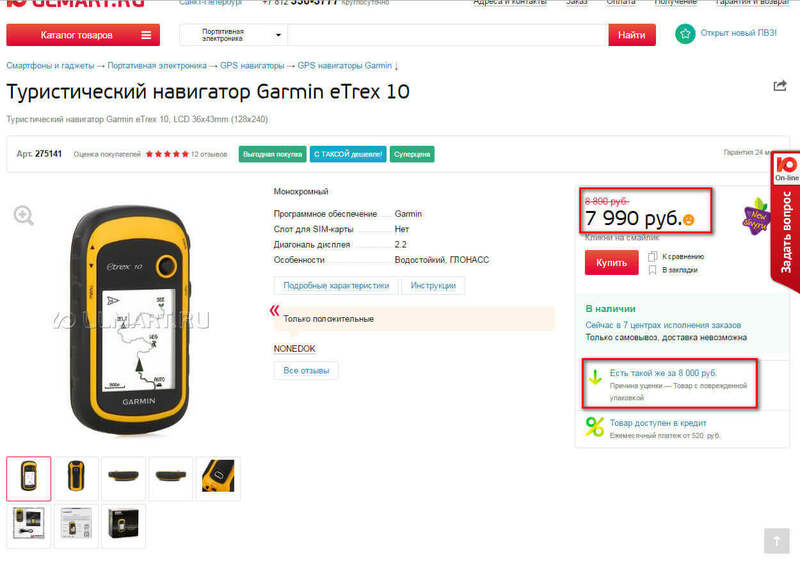 The translation of the theme is completely ready for components Woocommerce, bbPress, Mailchimp, Contact Form 7. The theme is thoroughly tested and optimized for fast file transfers and speed in General, has a fast loading time of pages, and clean and safe code. Ideal for all types of websites, landing pages, small business, portfolio, corporate projects, personal blogs, etc.